Joe Davis was a famous Celebrity from USA, who lived between April 15, 1901 and July 10, 1978. He became 77 years old. 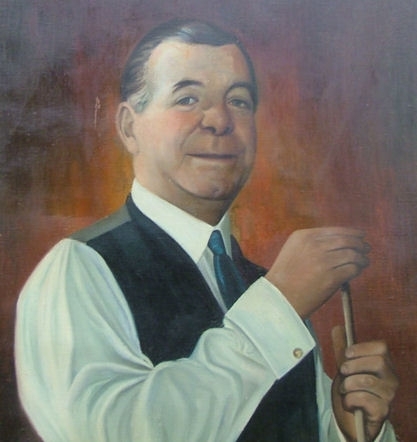 Joe Davis was a professional Carambole and snooker player. He was the first major snooker star and completely dominated the sport in 1920 - and 1930's. He was awarded the Order of the British Empire (OBE) in 1963. Joe Davis is not related to snooker player Steve Davis, but Joe's younger brother Fred Davis was also a successful snooker players. Our collection contains 3 quotes who is written / told by Joe. "I went to school at this log school house. A white woman was my teacher, I do not remember her name. My father had to pay her one dollar a month for me. Us kids that went to school did not have desks, we used slates and set on the hued down logs for seats"
"Study the best and highest things that are; but of yourself humble thoughts retain"
"One thing I learned about riding is to look for trouble before it happens"